I must admit I am a little shocked with myself. So I better quickly catch you up. I left my hometown on 27 December 2015, with my mom and younger twin brothers (aged 19 at the time), and jetted off to Phuket for a family holiday. Thereafter I embarked on the start of my solo journey; my first stop was at a Thai island called Ko Lanta at which I lived in a treehouse for 10 days! Now I am in Australia. I arrived in Perth and stayed with my friend for a couple of nights. Then we traveled down south and did a 10 day camping trip which was sweet! Think turquoise beaches, wineries and breweries, cheese and chocolate factories… you get the idea. As did my waistline. You can read about this experience here. I then hopped on a bus further down south to my current place of residence – Albany. I have been here for a week and am doing a couple of hours of work each day in a backpackers in exchange for accommodation. Hopefully over the next few posts you’ll get a feel for who I am, what drives me, and the strange but very exciting stage of life that I find myself in. I hope that you enjoy my writing and can find something that speaks to you. 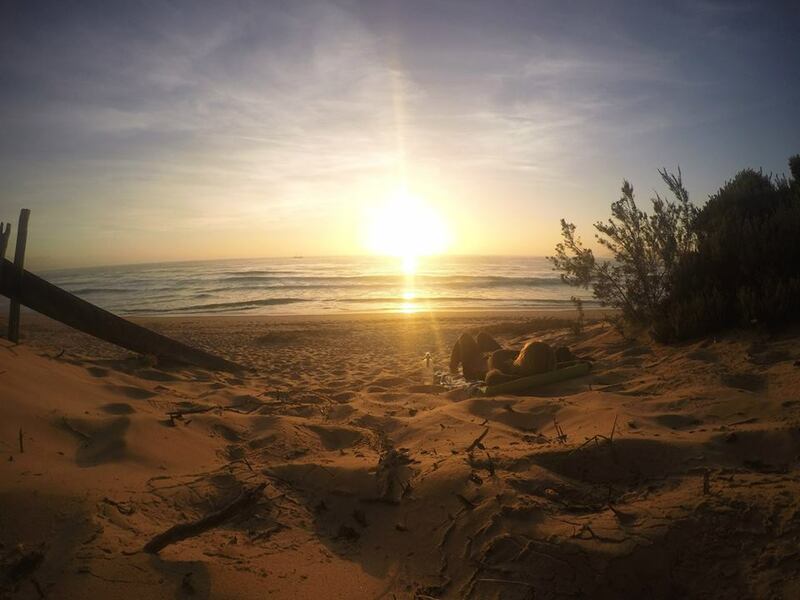 At 5:00am, I set my GoPro to film a timelapse of the sunrise in Plettenberg Bay, South Africa. This is a still from the collection. January 2015.